David Vann, a native of Randolph County, was born Aug. 10, 1928. After serving in the U.S. Army and earning law degrees at the University of Alabama and George Washington University in St. Louis, Missouri, Vann clerked for U.S. Supreme Court Justice Hugo Black. Vann came to Birmingham when his clerkship ended. In 1962, he was one of the leaders who organized a special election to change the city’s form of government and get rid of Public Safety Commissioner Eugene “Bull” Connor. 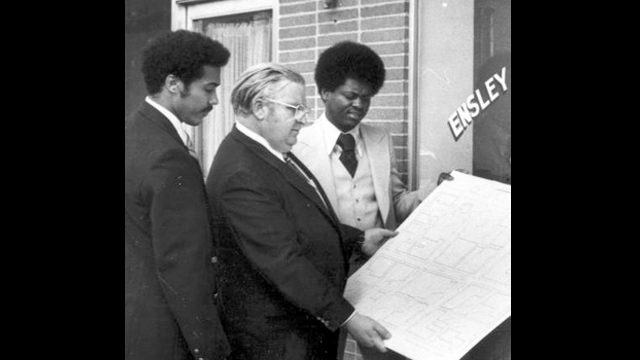 Vann won election to the City Council in 1971 and was elected mayor in 1975 with the endorsement of fellow Councilman Richard Arrington Jr. Running for re-election in 1979, Vann lost to Arrington, who became the city’s first African-American mayor.